Choose Firestone Complete Auto Care for car and truck repair you can count on. Schedule an appointment for handcrafted auto repair and service in Opelika today! When your car or truck needs repair in Opelika, there's only one place to go: Firestone Complete Auto Care. Your car needs preventative maintenance and timely fixes in order to keep you safe while driving. What's more, fixing little issues ahead of time can help prevent major problems and expensive repairs in the future. Some signs are unmistakable, like plumes of smoke from under the hood or a loud engine knocking. Other times it's hard to tell that your vehicle needs an important auto repair. Although, there's one thing any every driver knows: when your car isn't driving right! Luckily, you can put your trust in the qualified technicians at your local Firestone Complete Auto Care to help keep your entire car running as it should. Visit your neighborhood shop for auto and truck repair in Opelika and we'll begin with a completely free courtesy check. Experienced technicians will examine your steering and suspension, hoses, belts, fluid levels, brakes, tires, and more, all in order to solve your car problems. The best auto repair begins with the best knowledge! After technicians inspect your car or truck, we'll provide you with a complete report of your car's condition and talk to you about any repair services that may need to be performed. With more than 90 years of experience in the car care industry, we know what it takes to reach peak vehicle performance. 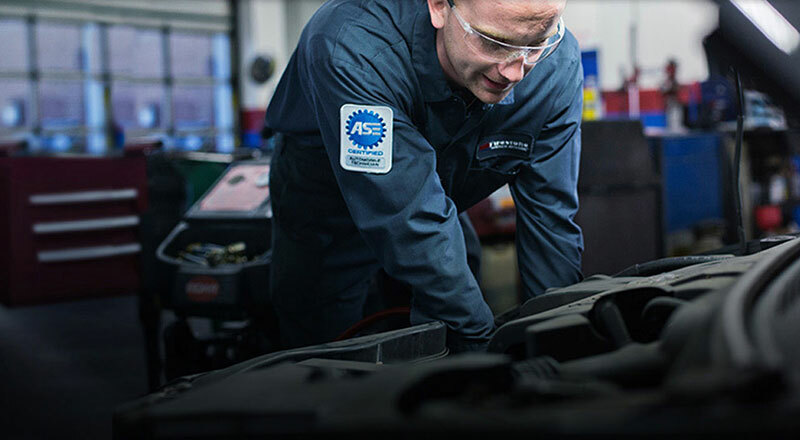 From spark plug replacement to brake service, transmission to tire repair, our professional technicians do it all. We're your one-stop auto repair shop in Opelika! Quality service, satisfied customers, and affordable prices. It's what we believe! That means we'll never recommend a repair that isn't necessary and we'll always do our best to fix your vehicle right the first time. And that’s a guarantee, backed by our Triple Promise – a promise that every job will be Fixed Right, Priced Right and Done Right on Time. You can count on it! So whether you're experiencing odd noises, troublesome leaks, or something about your car just feels off, schedule an appointment at your local Firestone Complete Auto Care for some of the best auto repair in Opelika. It's time to unleash the car you've got! From drivetrain services to engine tune-ups to brake repair, turn to your local Firestone Complete Auto Care for your auto service needs. We're your go-to tire store, service center, and repair shop. Our professional technicians work hard to help ensure that your vehicle runs the way it should. Regardless of the maintenance your car or truck needs, we promise affordable prices and exceptional service. Ready to experience the difference? Book your Opelika, Alabama auto repair or service today.